Sunday Streets, a few hours a few times a year when selected surface streets are closed to cars, continues to be the best event in San Francsico. 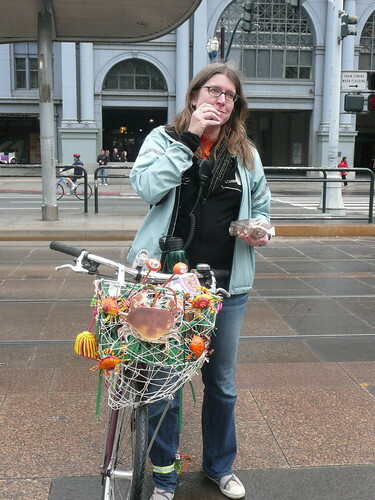 Susan King is the director of SS and is pictured here looking cute while eating some Girl Scout Cookies. When it comes to fashion, for Susan it's all about the bike. 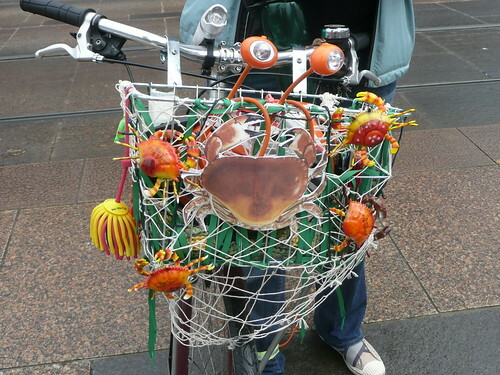 She produces stellar basket installation art for her ride. Her most recent creation, Crab Catchin'.